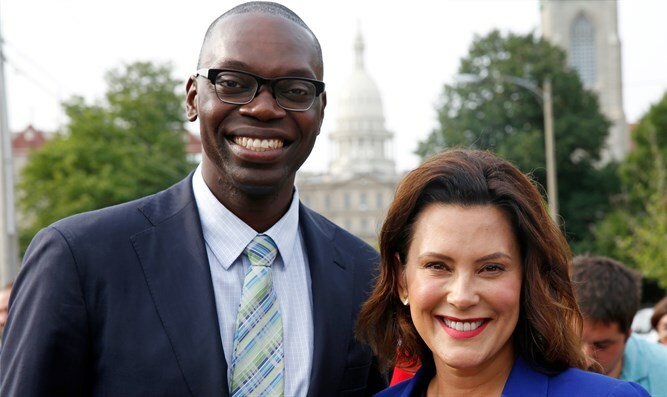 "I recognize the fundamental rights are that we have the right to speak," Whitmer said, according to video footage of the event obtained by the Washington Free Beacon. "No one gets to infringe on those rights on my watch." Polls currently show the Whitmer-Gilchrist ticket leading Republicans Bill Schuette and Lisa Lyons for this November’s election. According to the RealClearPolitics average of polls, the Democratic ticket holds a 9-point lead over the Republican ticket, 46% to 37%. Incumbent Republican Governor Rick Snyder is term-limited from running for reelection.